Anytime, anywhere… A cookie dough fundraiser consistently earns monies for your organization. Thanksgiving ... Christmas ... Valentine’s Day...Easter ... Mother’s Day ... Father’s Day...Any Day!!! 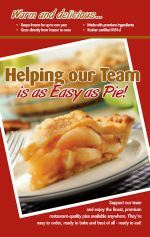 Use our simple fundraising ideas to generate BIG PROFITS for your organization!!!! By selling cookie dough an organization is offering a product which people enjoy baking and eating. Consistently cookie dough fundraisers are the most popular product in school fundraising today simply because of the number of requests an organization will receive after they have completed a cookie dough sale, typically asking when the next cookie dough sale is going to be scheduled. 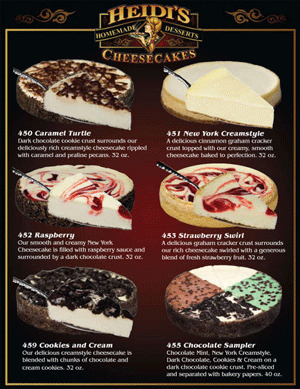 Profitable-fundraising-ideas.com has many quality cookie dough fundraiser options to choose from. Announcing Mrs Fields Cookie Dough for Profitable Fundraising Needs!! Mrs Fields Cookie Dough is America’s all time easiest, most profitable cookie dough fundraising product. GREAT PRODUCT, GREAT TASTE, OUTSTANDING VALUE!!! It’s like having a cookie store in your own home!! Exceptional Zero Grams trans Fat non hydrogenised product straight from the ovens of New York City. This product has the unique old fashioned gourmet taste your organization will be craving. 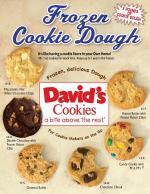 Davids is the place to find delicious, soft chocolate chip cookies you don't have to bake. Forget small chips, our recipes include large chunks of gooey Hershey's ® chocolate for a home-made taste. This chocolate chip cookie dough is made from a clever mixture of wholesome milk, eggs & creamy butter, each cookie is oven-fresh & golden brown to perfection with top quality ingredients. Save time from making your own dough from scratch and pick up a batch of a dozen David's Cookies today for the whole family. Flavors include Chocolate Chunk, Peanut Butter, Oatmeal Raisin and more. They're great for birthday parties and best served fresh. Profitable AND CONVIENT HOME DELIVERY AND PRE SORTED SERVICES AVAIABLE!! BLUE RIBBON GOURMET COOKIE DOUGH available in a three pound box or three pound pail. The three pound products contain 48, 1 oz cookie dough. Simply drop the cookie dough on cookie sheet and you're ready to bake. This is very popular for those who want the aroma and flavor of freshly baked cookies with zero hassles! MANY GROUPS CHOOSE THESE SIMPLE FUNDRAISING IDEAS TO SELL IT TWICE A YEAR WITH UNBELIEVABLE SUCCESS. Since its inception, the Pine Valley goal has been to simultaneously manufacture high quality cookie dough while delivering high levels of service Pine Valley Foods, Inc. is the producer of more than 25 flavors of cookie dough, in both tub and pre-portioned units. Brand New for 2009 Cookie Dough shipped Directly to your door. Cookie Dough Delivered Directly to Consumers! Selling cookie dough for your next fundraiser has never been easier or less stressful! Rather than sorting and delivering tubs of cookie dough, you'll deliver eCoupons, which the consumer will use online to redeem their purchase and have their cookie dough shipped directly to their door. A cookie dough fundraiser delivered directly to consumers! Selling cookie dough for your next fundraiser has never been easier or less stressful! Rather than sorting and delivering tubs of cookie dough, you'll deliver eCoupons, which the consumer will use online to redeem their purchase and have their cookie dough shipped directly to their door. Delisheries uses all-natural mixes with Belgian chocolate, cranberries, raisins and other gourmet goodies so they have a made-from-scratch quality. Packed in resealable plastic tubs, our mixes will stay fresh in your pantry for up to a year - until you mix them up! After mixing you can use all the mix, store the unused portion in the refrigerator for up to 2 weeks, or in the freezer for up to 3 months.